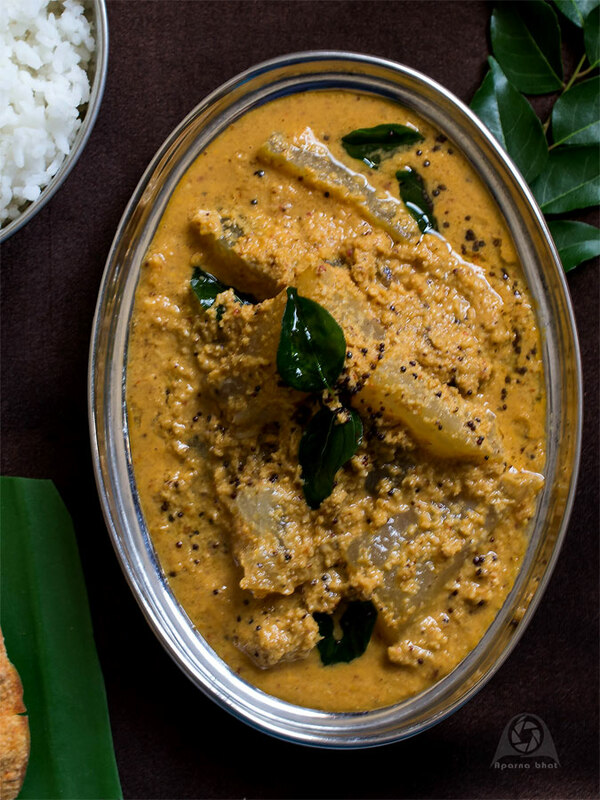 Kunvale Sasam is a traditional dish from Konkani cuisine prepared from ashgourd during festivals/ functions at home and especially for devasthan jevan [meals] during temple festivals. Recently I had prepared this curry at home. Though unable to replicate the same irresistible taste [which the curry gets probably because it is prepared in large quantity], we loved this delicious curry with rice and happolu [spicy papads]. Wash, clean and peel the skin of ashgourd. Remove the central portion that has seeds. [you may use this central pith along with seeds as mentioned in the recipe here]. Cut the ashgourd into cubes/large chunks. Cook these veggie chunks in water [the water should be just enough to cover the veggies]. Once boiled add salt as per taste and switch off the flame. Cover the pan with lid. Next grind coconut, roasted red chillies and tamarind to coarse paste. Add 1/2 tsp of mustard seeds and give a last spin to the massollu [ground mixture] in the mixer. Now add the massollu to cooked ashgourd pieces. Adjust salt and bring it to boil. Simmer for 3-4 mins and switch off the flame. Lastly season the curry with mustard seeds and curry leaves. Immediately after seasoning, close the vessel and keep it covered for 5 mins. Enjoy it as side dish with hot steaming rice. 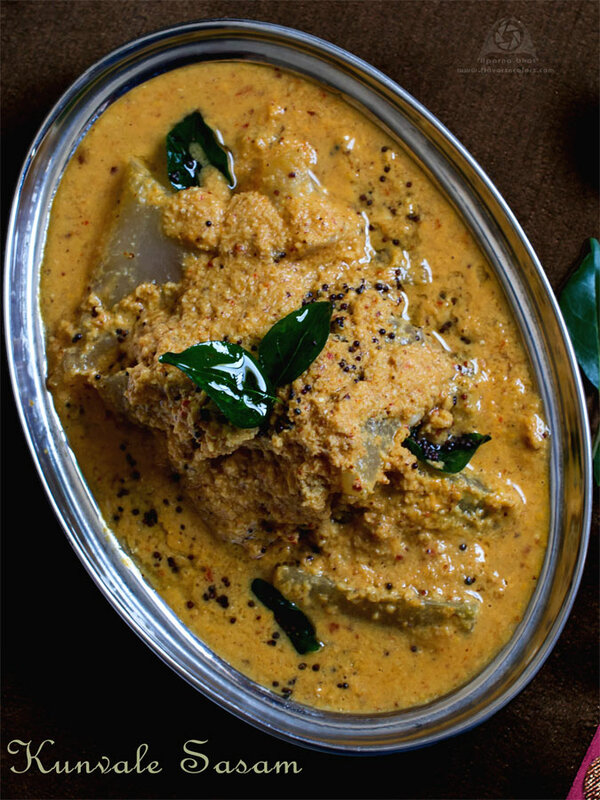 I just love to eat those large chunks of juicy ashgourd pieces dunked in the gravy. Very interesting dish, looks fabulous.